Mango Maven is sorry to report that misconceptions regarding mangoes and the American consumer are prevalent. What’s the trouble, you say? About ½ of US consumers think a good mango is red in color…this is an unfortunate misconception. It depends on the variety! Almost half of US consumers use color (red, orange, yellow, green) as a measure of ripeness. In fact, color at ripeness varies by variety. US consumers describe texture (soft or firm to the touch) and color as being descriptors of “premium quality” mangoes. 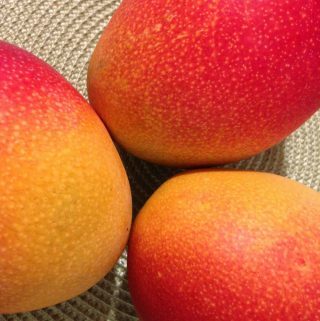 In the opinion of Mango Maven…the answer is: a premium quality mango comes from a premium quality variety of mango. But unfortunately: The vast majority of US mango purchasers are not aware of varieties of mangoes and the quality considerations of each variety. It is the aim of Mango Maven to change this! Many US consumers eat a mango for the first time while on vacation. Just like Ms. Mango Maven! 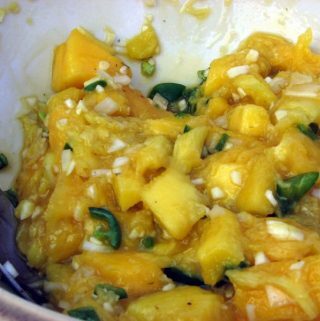 Over half of US consumers wouldn’t buy a green mango because they believe a green mango is not ripe. Sigh… 🙁 Again, it depends on the variety! Folks, there is no such thing as a bad mango that hails from a good variety! And yes, there are posts on this topic.